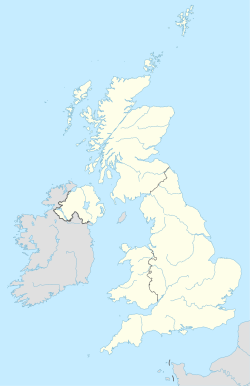 The E (Eastern) postcode area, also known as the London E postcode area, is the part of the London post town covering much of the east of Greater London, England as well as Sewardstone, Essex. Since the closure of the East London mail centre during the summer of 2012, mail for the E postcode area is now sorted at Romford Mail Centre, along with mail for the IG and RM postcode areas. The current E postcode area was originally formed in 1866 as a merger of the E and NE areas, which had been created in 1858. In 1917, the postal districts were numbered alphabetically by their location; the districts usually cover a wider area than their names might suggest. As of 2004, the district names do not form part of the postal address. High demand caused sector 9 of the E1 postcode district to be split and recoded in 1999 to create an E1W postcode district around Wapping, but the rest of the district did not gain an additional character. When districts are used for purposes other than the sorting of mail, such as use as a geographic reference and on street signs, E1 and E1W continue to be commonly classed as one 'district'. The E postcode area contains two non-geographic postcode districts for high-volume business users, E77 and E98. The Eastern District Office is on Whitechapel Road and was the eastern terminus for the former London Post Office Railway, which has been mothballed since 2003. The railway ran 10.5 kilometres (6.5 mi) to the Paddington Head District Sorting Office. The E20 postcode has been used fictionally as the postcode on the television soap-opera series EastEnders since 1985. However, it became a real postcode in 2011, when it was created from within the E15 postcode for the new Olympic Park, in Stratford, the site of the 2012 Summer Olympics. The E1 postcode district has a River Thames frontage to the south and is central to London. Postcode districts E6, E14 and E16 also have river frontages in the south. The River Roding and the North Circular Road form part of the boundary in the east. The postcode area is roughly the combined area of the London Boroughs of Tower Hamlets, Newham and Waltham Forest. Also, the eastern part of the London Borough of Hackney, the western sections of the London Boroughs of Redbridge (E11, E12, E18) and Barking and Dagenham (E6) and a small part of the Epping Forest District, Essex (E4), are within the postcode area. The 1990s pop band East 17, formed in Walthamstow, whose postcode district is E17. E postcode area map, showing postcode districts in red and post towns in grey text, with links to nearby EC, EN, IG, N and SE postcode areas. Central areas covered by central London EC postcodes. Hoxton in Shoreditch is part of the N postcode area but is usually seen as being part of the East End. The eastern suburbs built after the introduction of the E postcode area are now mainly in the IG and RM postal areas. ^ "Postcodes" (PDF). Archive Information Sheet. The British Postal Museum & Archive. Archived from the original (PDF) on 20 March 2009. Retrieved 24 March 2010. ^ Royal Mail, Postcode Update 29, (1999). ^ Staff (19 March 2011). "Olympic Park To Share EastEnders' Walford E20 Postcode". BBC News. Retrieved 19 May 2012. ^ "Map of London District Names and Numbers", from the 1963 edition of Bartholomew's Reference Atlas of Greater London (via Flickr).